I bought this breathtaking woven yarn dyed, cotton fabric, just about 3.5 yards. I’m thinking of ordering a full bolt online, no joke. I love it that much. It’s a powder blue, more Fairfield Porter grey than Robin’s egg, and woven with a repeating pattern. Idea: summer weight blanket? 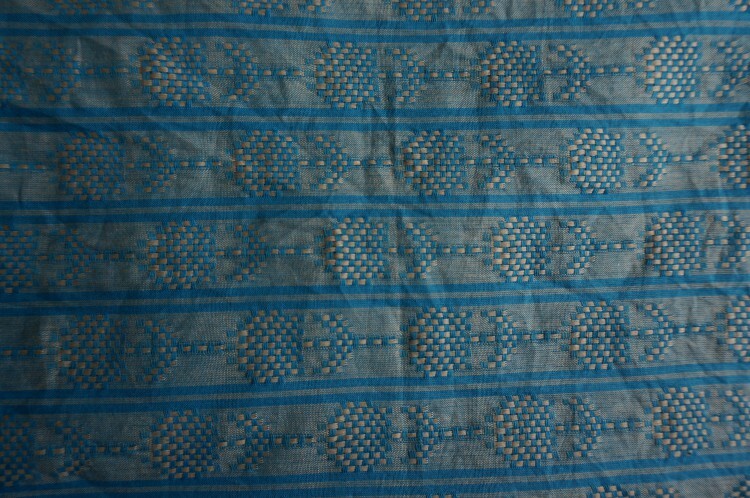 It’s not cream and blue-it’s almost a blue-white and blue double weave fabric. Very, very lovely. Need to line with a trim, possibly add a very lightweight layer for structure between this and a bottom layer. Fabric purchased at Gather Here. Fabric is Anna Maria Homer Loominous.